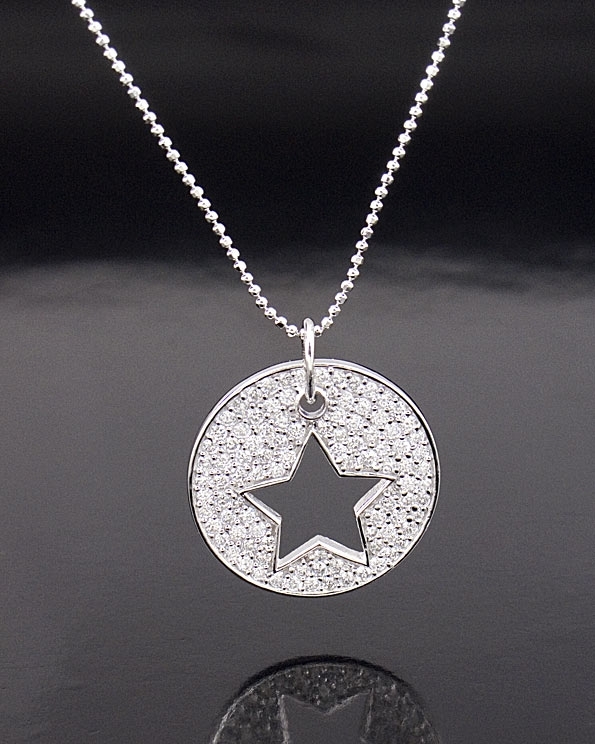 Sterling silver with platinum finish, Star pendant necklace. Pendant has a very contemporary design with a Cut-out star, covered with cubic zirconia stones. Clasp closure. Makes a great romantic gift. Also perfect for the Bride to be. Circle measures: 2.2cm / 09"